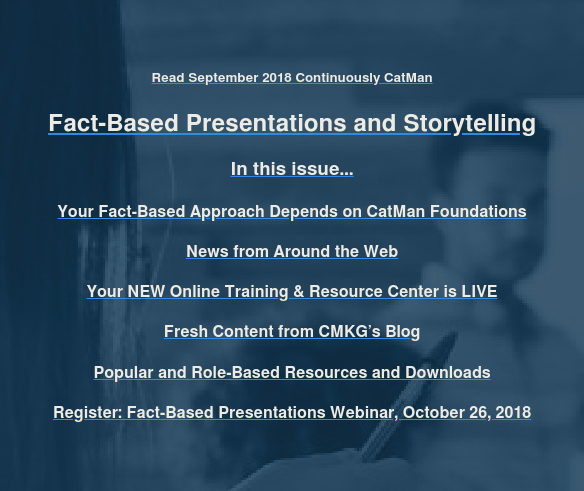 CMKG’s quarterly newsletter dedicated to updating our CatMan community on what’s new in our industry and preparing YOU for success today and in the future. Subscribe Now. 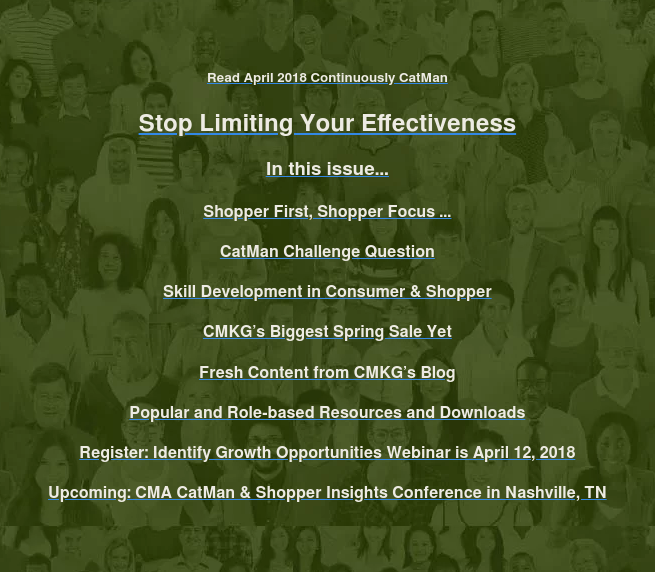 We publish newsletters 4 times a year. 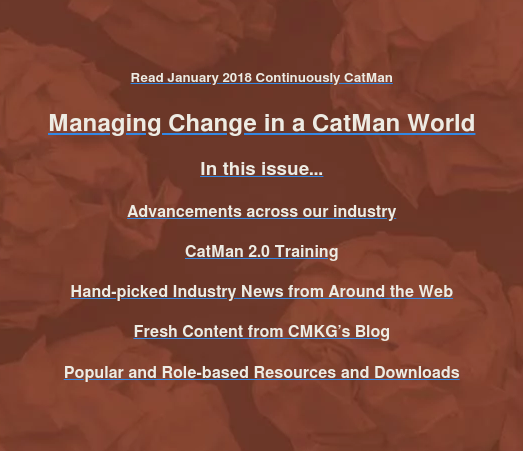 Each issue focuses on a particular topic, letting you skim or deep dive into the content surrounding your role and industry. And don’t forget to keep coming back or subscribe below. 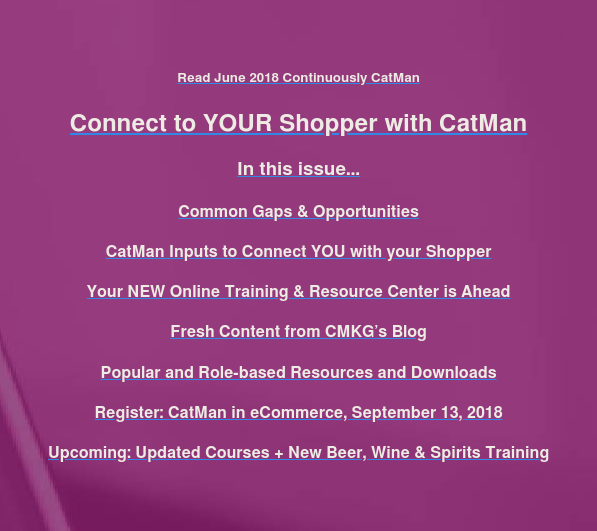 Like the NEW newsletter format or content? Share with your peers.